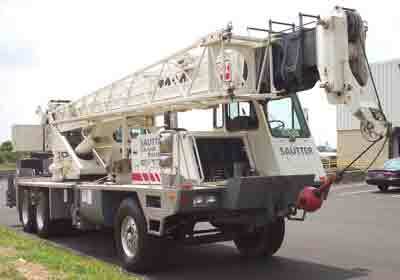 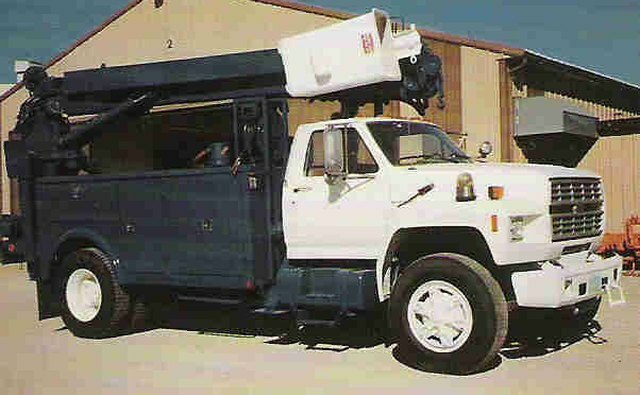 A boom truck can range in size up to a Class 8 tractor-trailer rig with a bucket or aerial work platform moved by a hydraulic lifting mechanism mounted on the bed. 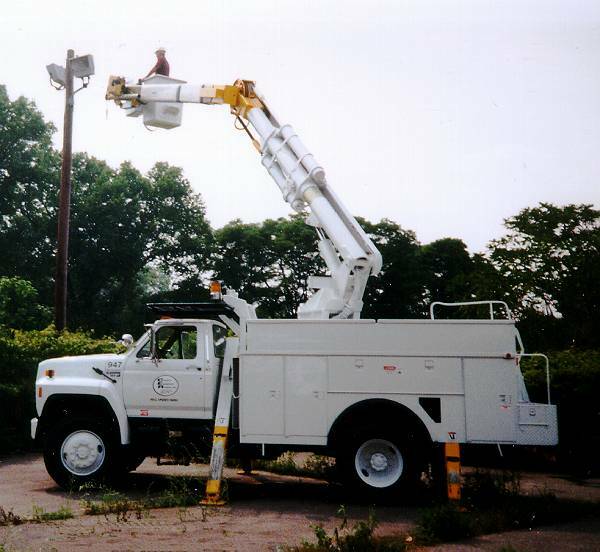 Cherry pickers, or buckets, typically transport workers from the ground to high places such as treetops, utility poles, sides of buildings or for fire department rescue and firefighting. 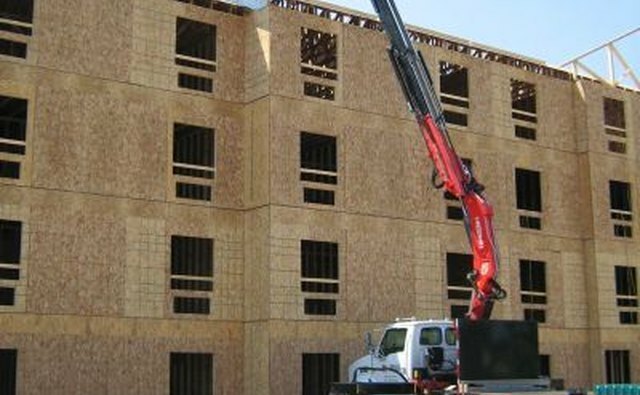 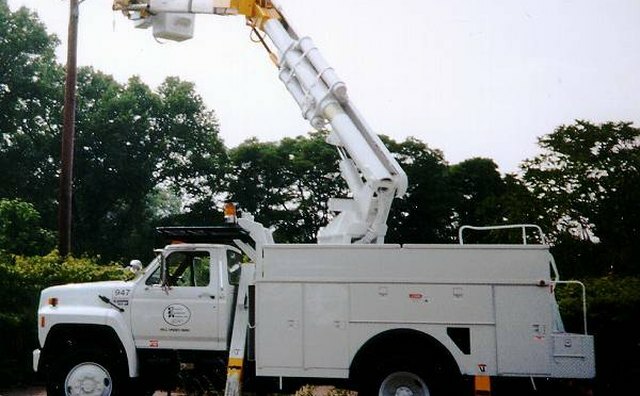 The boom is mounted either on the bed of a large truck or on a separate trailer, with larger booms requiring outriggers extended horizontally from the vehicle to stabilize and level the crane during operation. 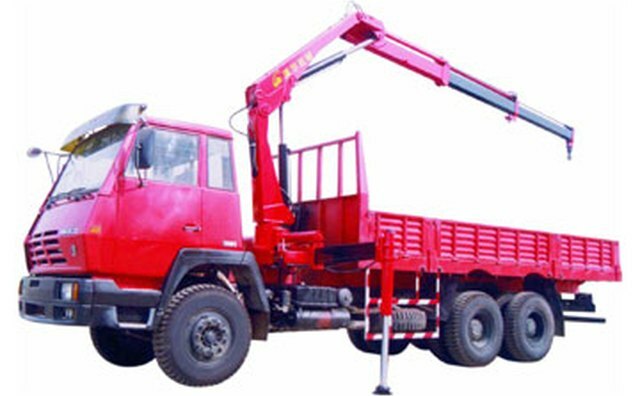 The control cluster to move the boom can be located in the cab, a panel on the side of the bed and in the boom itself. 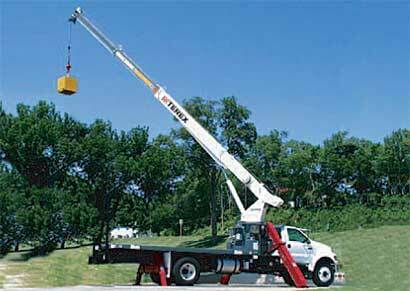 Lifting capacity on boom trucks depending on size range from 14.5 to 1,300 U.S. tons. 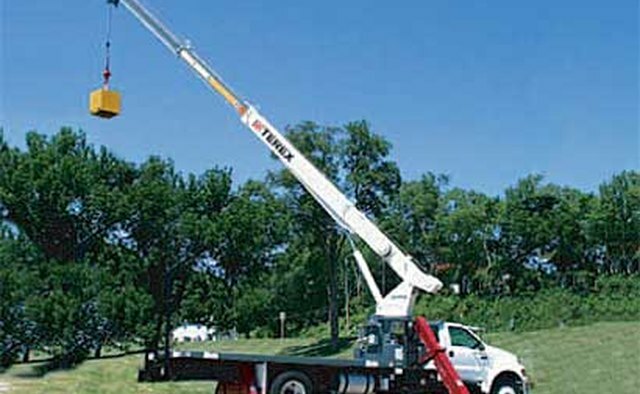 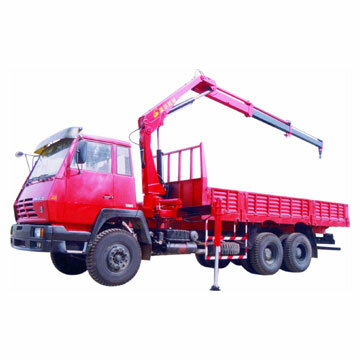 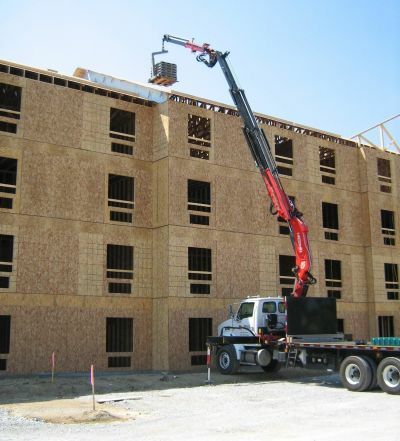 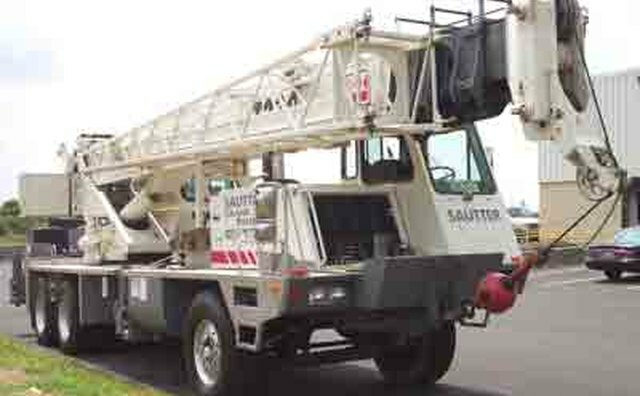 The typical 17-ton capacity boom truck has a three-section proportional boom, a two-speed hoist, 20-foot outriggers with 10-foot rear stabilizers and a 121-foot maximum reach.